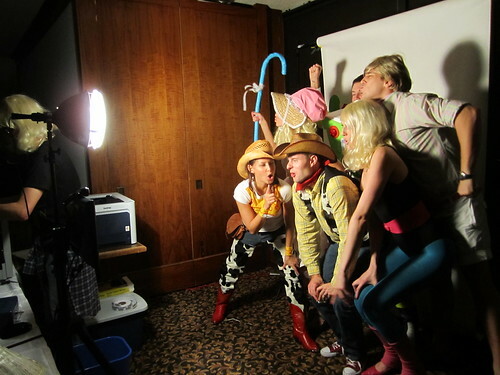 Vancouver Flipbook is a photobooth rental company that serves Vancouver and surrounding areas. They have 2 reviews on Yelp. So far, their reviews appear to indicate that people are very happy with their service. It would be great to see more reviews for them. If you choose to rent a photo booth from them, make sure to leave a review for them on Yelp.ca, Google Maps, Facebook, or WeddingWire.com after your event so that others can get a better feel for what they are like. 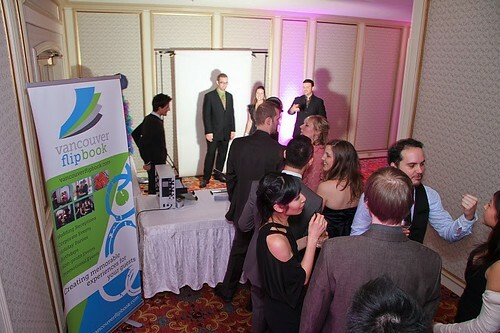 Unlike some companies that offer photobooth rentals as a side business, they are Vancouver Flipbook’s core business. So your chances of dealing with real photo booth experts who are passionate about what they do are most likely higher with this company. What is unique about Vancouver Flipbook is that they film short videos of your guests and then turn those videos into mini photo books that animate each guest’s video when they quickly flip through the book. All photo booth rental companies in the Lower Mainland provide an on-site attendant, free delivery, setup, and take-down when you rent from them, and almost all companies require a minimum rental time of at least 2 hours. When it comes to their service, Vancouver Flipbook offers some additional options with their photobooth rentals. Vancouver Flipbook also offers other options. Check out their website to find out more. To learn more about Vancouver Flipbook, check out their website, see how the features they offer compare to other service providers, and see how their photobooth looks compared to others.